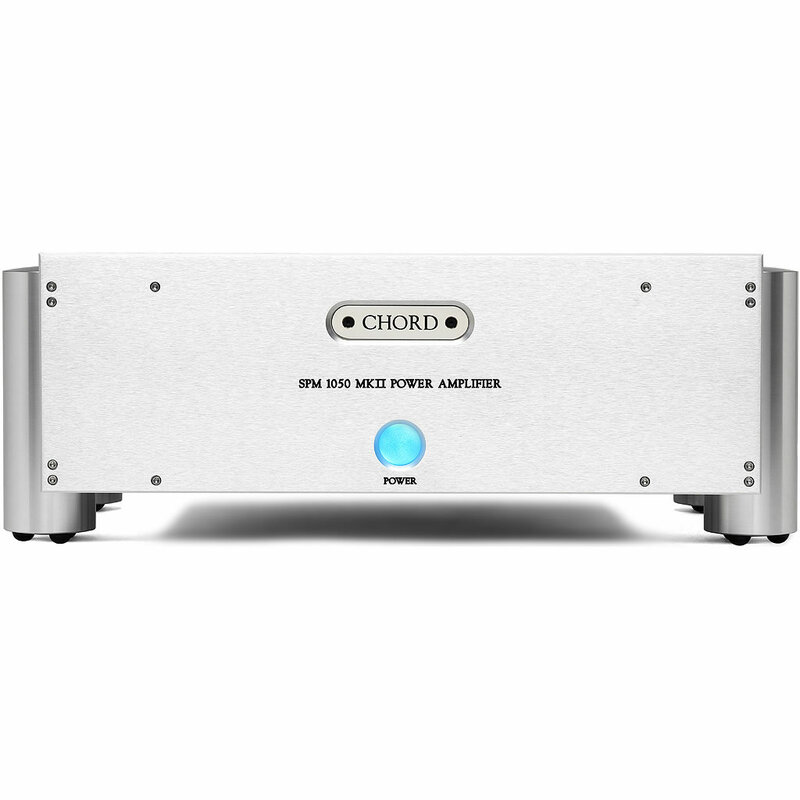 Chord Electronics new SPM 1050 MkII power amplifier, first unveiled at High End 2016, Munich, is now available worldwide. The new MkII version directly replaces the original and introduces the latest Chord amplifier technology, plus some key aesthetic improvements. The latest-spec MkII model offers reduced output distortion for even greater transparency and fidelity, plus improvements to capacitance for cleaner power delivery. The second- generation version also includes enhanced isolation on the mains transformer to reduce interference and enhance sonic performance. In keeping with the original, the SPM 1050 MkII uses Chords low-distortion amplifier circuitry and features four proprietary lateral- structure dual-die MOSFETs per channel (eight in total), enabling even the most demanding loudspeakers to be driven with clarity and precision. The SPM 1050 MkII offers both balanced XLR and RCA phono inputs, plus two pairs of loudspeaker outputs with gold-plated connections. A single power button offers operational simplicity from standby mode and the amplifiers status is indicated on the faceplate by a simple two-LED sequence showing power and relay functions. The casework is luxuriously Chord: machined from solid aircraft-grade aluminium it offers a stunning aesthetic plus an enviably rigid environment to house the electronics and dampen unwanted vibration. Aesthetically, the MkII version includes a new vented aluminium lid, akin to the DSX1000 streamer, plus a new piano-black acrylic side-panel option giving the power amp a fresh, contemporary look. Additional options include a choice of finish for the established Integra leg system supports, these include: nickel, satin-black anodised and aluminium. 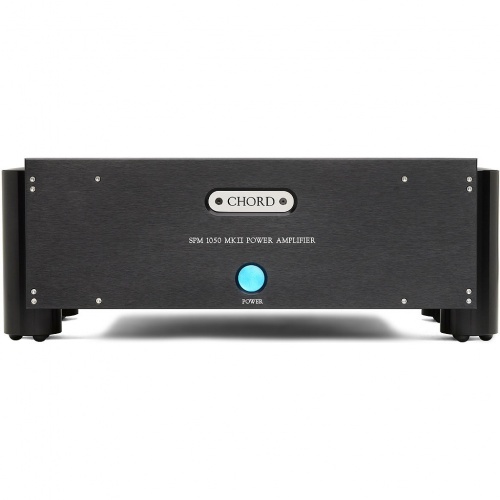 As with all Chord Electronics amplifiers, the new SPM 1050 Mk II features Chords proprietary 2KW high-frequency switch-mode power supply, which was originally developed for use in aerospace, telecommunications and data processing, where quality and power is needed in a very space-efficient design. The technology allows instantaneous power to be taken from both power rails simultaneously when the audio track demands, giving perfect balance and dynamic precision for music. 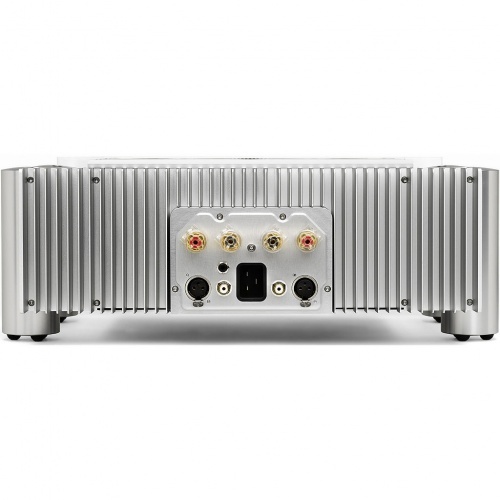 The technology is complemented by a large bank of energy storage capacitors that are recharged by the power supply many thousands of times a second, giving the amplifier huge reserves, plus the ability to react effortlessly to any signal. This configuration gives increased voltage swing, greater dynamic range, plus the ability to cope with even the most demanding loudspeaker loads. Unobtrusive protection circuitry constantly monitors the amplifier status and magnetic current-sensing will shut down the SPM 1050 MkII in the event of a short circuit, or DC overload. The Ultra High Frequency power supply is a self-contained, self-monitoring module, which is common to all Chord amplifiers and is fundamental to their exceptional performance. A sophisticated mains input filter ensures that the power supply is exceptionally well shielded from disturbed mains input, and more significantly, the mains itself is completely untouched by emissions from the amplifier. 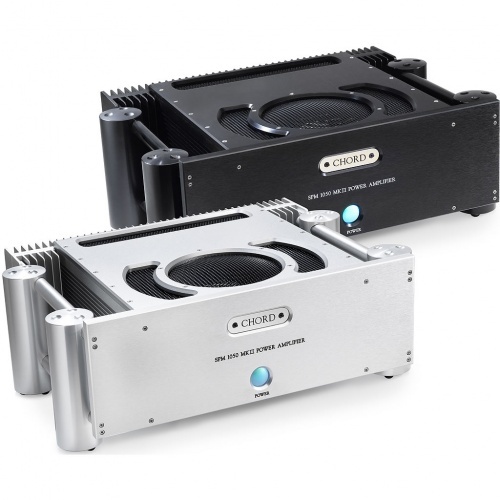 Dynamic Headroom: 300W RMS per channel into 8Ω; 400W rms per channel into 4Ω; 1 kHz, 20 cycles on, 480 cycles off. Channel peak into 2Ω.